Overlook: Hot Tub + 360* Mtn Views + High End Finishes! Decks! Also, you should know that this home is for sale and you may be asked to accommodate a showing given a 24 hour notice. 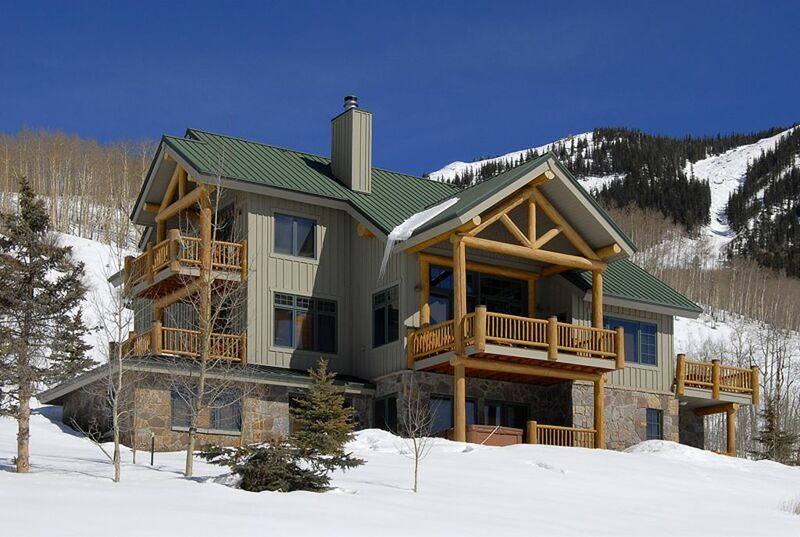 Alpine Getaways offers a number of Crested Butte vacation rentals that provide guests with the very best amenities and accommodations, as well as a large range of sizes and styles to choose from. Whether you're looking for a larger Crested Butte rentals to accommodate the entire family, a condominium close to Crested Butte Mountain Resort or a place close to all the downtown amenities, our wide range of high-end Crested Butte lodging options will suit all of your needs. We are so happy you enjoyed your stay at Overlook and appreciated the convenient location! We received a new modem today and the wi-fi should be 100% moving forward. We hope to see you again soon and that everyone in your group has a safe trip home! Beautiful house in a beautiful location. The perfect size for a family vacation with multiple adults. The kitchen had all the required cooking equipment plus. Lots of towels, etc. However, the views where the best reason to stay here. Views from virtually every room of the house. Far enough from the neighbors but not so far that you felt isolated. A short car ride into Crested Butte. Wonderful and well equipped home! This home was perfect for our large group's mountain biking trip. It's in a convenient but quiet location with a beautiful view. The space was comfortable and we enjoyed the well supplied kitchen for meals. Nice king bed in the Master suite. Enjoyed the decks to eat and lounge on. The hot tub and Foosball table were a plus. I would stay again but the house had a few issues that renters need to be aware of... The main floor queen bed was uncomfortable and needs to be replaced. The outside doors to all decks off the great room did not lock. Mouse bait stations randomly placed throughout the house are too easy to access/touch by small kids. Neither of the pull out couches were suitable for adults so maybe the house should be rated as Sleeps 11. Fabulous mountain home with a Perfect Location!!! We have stayed at this home both in summer and winter. Perfect location to get to the ski lifts in less than 5 minutes and in the summer get on the upper loop right at the end of the driveway. We hiked to town, not strenuous but beautiful through the aspens. Crested Butte is a wonderful little Victorian town with great eats and wonderful summer culture. Too tired to hike back? Take the free townie bus back to the house! We enjoyed a free outdoor concert by the ski lifts. Hiking here is bountiful and beautiful. The house is great for family with different generations with a bedroom on the main floor. It is decorated beautifully with comfortable furniture. There is enough dishes and pots and pans to cook includes gas barbecue. The main area has an open kitchen, dining, and living room. You can send the children downstairs to the other family room with a large tv, fooze ball table and game table for some peace and quiet. Upstairs on one of the many decks the adults can enjoy a glass of wine and a wonderful view of the butte and look out to the town and other mountains. Everything in the house is up to date, clean and invites you to relax and enjoy a warm inviting home. Additional 4% booking fee applies.